I have a confession; I love the lottery. I am only into instant games; I buy them often and always for gifts especially around the holidays. I buy one or two at my local 7-11 or Quick Mart and return to my car with them. I sit there and scratch it right away. 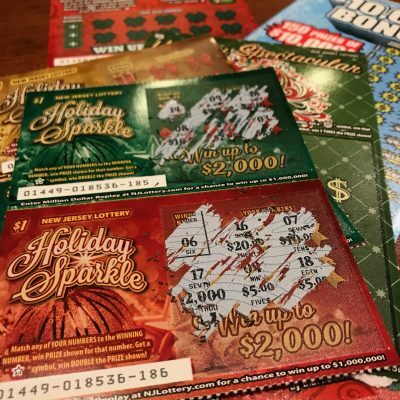 The New Jersey Lottery has four new Holiday themed Instant Games available for the Holiday season. The tickets come in different themes and different price points…. 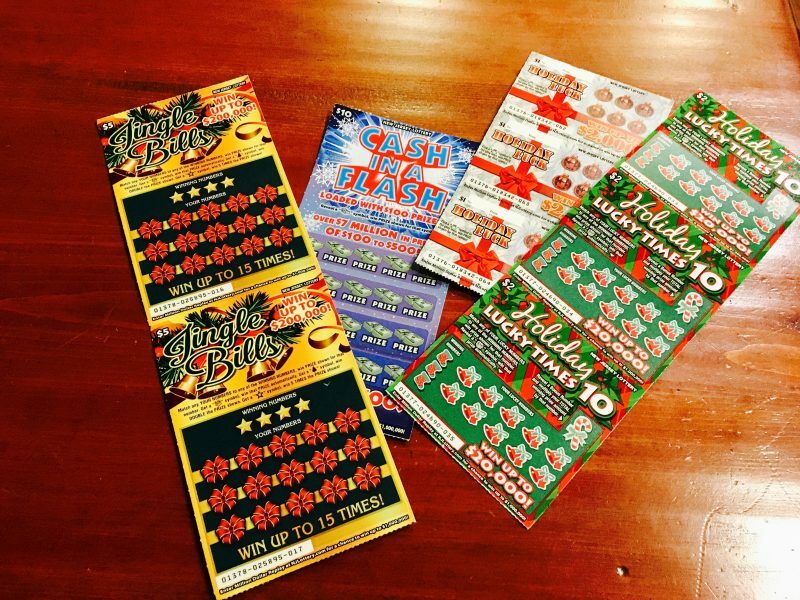 ($1 Holiday Luck, $2 Holiday Luck Times 10, $5 Jingle Bills, and $10 Cash in a Flash). These Holiday games make for the perfect gift, stocking stuffer, party favor, etc for anyone and everyone on your list over the age of 18. Are you one of those talented bunch that can wrap any size present? Lucky you! But for those of us that don’t have that special gene. Instant games are an option, they offer the wonder of a wrapped gift, the entertainment of a game experience and the potential for a large cash payout! No wrapping required so they are easy to give or send. 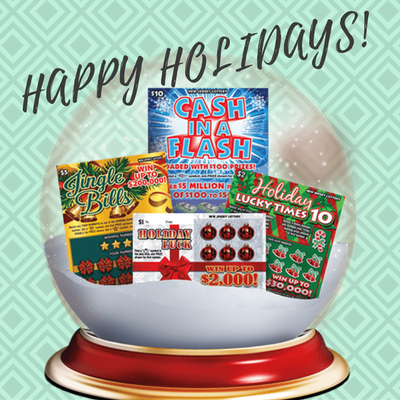 These Holiday Instant Games are easily accessible at any local Lottery retailer. No matter if I win $$ or don’t, I always enjoy the time. Plus there is always the Million Dollar Replay. Place your nonwinning instant tickets in a second chance drawing that could make you a millionaire. Have you ever played, what would you do if you won on an NJ Lottery Holiday Instant ticket? My husband and I have played the imaginary games on long flights. What would be the first thing you would do after you call your lawyer/accountant/family. What is the first action with your new winnings but it can’t be “pay the bills”. My first is usually book a vacation, what is your first thought? You must be 18 or older to buy a lottery ticket. Parents are urged to think twice about gifting lottery tickets to children. The New Jersey Lottery reminds players, it’s only a game…remember to play responsibly. If you or someone you know has a gambling problem, call 1800-GAMBLER®. Disclaimer: You must be 18 or older to buy a lottery ticket. Parents are urged to think twice about gifting lottery tickets to children. The New Jersey Lottery reminds players, it’s only a game…remember to play responsibly. If you or someone you know has a gambling problem, call 1800-GAMBLER®.